Holly is from Wardana Kennels, bred by Mrs M E Collis. 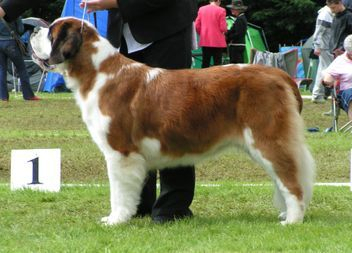 We have enjoyed showing Holly since she was 6 months old and she has been consistently placed at Championship shows in UK, Ireland and Europe. We would like to thank Mary-Ellen for trusting us with this beautiful girl. Holly loves to show - its all she lives for - well apart from eating, sleeping, swimming and watching telly on the sofa!